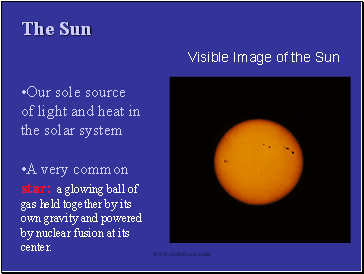 •A very common star: a glowing ball of gas held together by its own gravity and powered by nuclear fusion at its center. 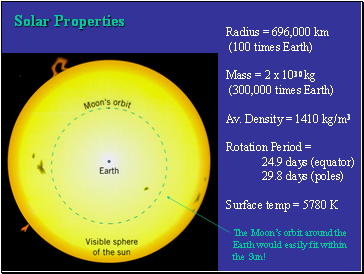 Pressure (from heat caused by nuclear reactions) balances the gravitational pull toward the Sun’s center. 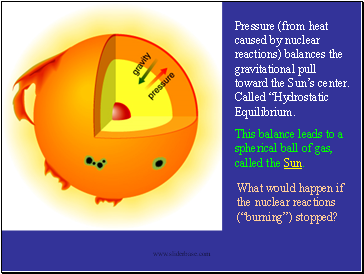 Called “Hydrostatic Equilibrium. 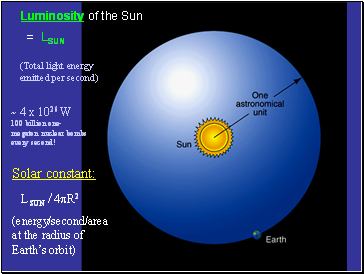 This balance leads to a spherical ball of gas, called the Sun. 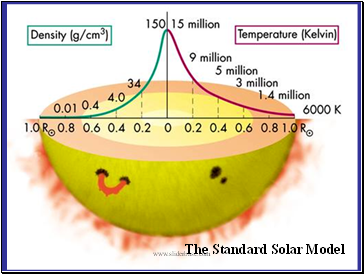 What would happen if the nuclear reactions (“burning”) stopped? 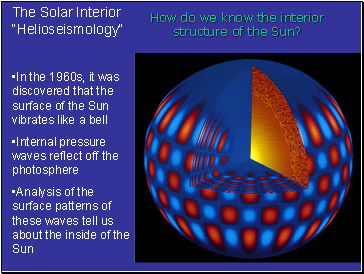 How do we know the interior structure of the Sun? 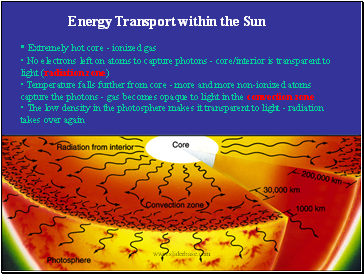 v Convection takes over when the gas is too opaque for radiative energy transport. 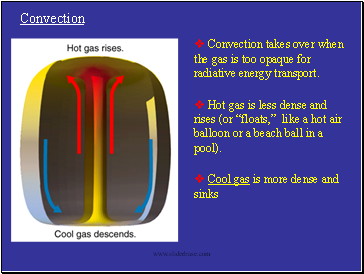 v Hot gas is less dense and rises (or “floats,” like a hot air balloon or a beach ball in a pool). 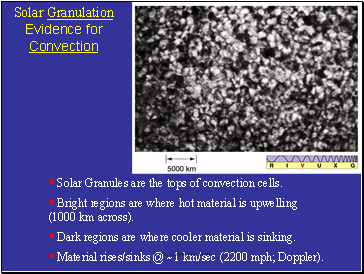 § Solar Granules are the tops of convection cells. 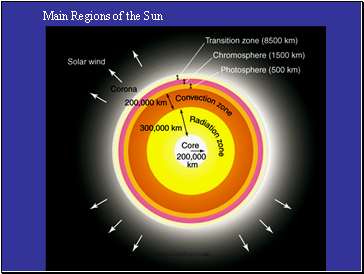 § Bright regions are where hot material is upwelling (1000 km across).